The author of Freakonomics says more than half of us do it. But these untruths can have career consequences. When a woman we'll call Mary was offered a high-level student-services position at a prestigious college, she was thrilled to accept. But two years later, Mary was fired despite strong performance reviews and a reputation as a rising star at the college. The reason? She lied on her resume—and got caught. Given such repercussions as Mary's fate, you might wonder why anyone would attempt to get away with lying on a resume in the first place. Levitt refers to a W.C. Fields quote in his explanation: "Anything worth winning is worth cheating for." In a kind of twist on the Peter Principle, which suggests that within corporate hierarchies, employees tend to be promoted until they reach their ultimate levels of incompetence, Levitt postulates that "the higher up in the organization a person rises, the more likely it is that he or she will cheat." "The best lies will be those that mirror reality," Levitt says. "My hunch is that the reputed 50% of resume cheaters are mostly making little cheats here and there, for instance, to cover up times when they were out of the labor force for six months." Perhaps viewing these mistruths as harmless white lies or marketing spin, people who lie on a resume may end up doing more damage—to themselves and others—than they realize. "When someone else cheats, it hurts the honest people," Levitt says. Honest job seekers can be edged out of competition by individuals who give themselves an unfair advantage by fabricating or exaggerating credentials. And what about the damage cheaters do to themselves? "Even if you are never caught, you will have to live in constant fear that someday you will be caught and punished and with the guilt of knowing what you did was wrong," Levitt warns. His research findings and the stories of job seekers who got caught lying on their resumes are cautionary tales to anyone in the workforce: You jeopardize your future when you lie about your past. No matter what the reason or justification for lying, if your resume isn't entirely truthful, know this: You don't have to resort to lying to win a job. There are ethical resume strategies you can use to address issues like minimal work experience, lack of or incomplete college degrees, and being fired. 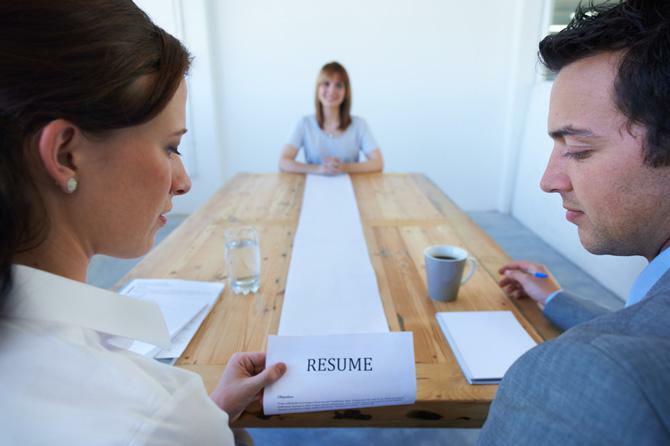 Do you need ideas for how to strengthen your resume? Get a free resume evaluation today from the experts at Monster's Resume Writing Service. You'll get detailed feedback in two business days, including a review of your resume's appearance and content, and a prediction of a recruiter's first impression. It's quick, easy, and honest. You'll feel better about your resume—and about not lying.